SPORAH TV: FASHION 4 AFRICA UK 2010-2011. FASHION 4 AFRICA UK 2010-2011. MEETS DESIGNERS AND MODELS FOR FASHION4AFRICA UK! Behind the scene, Sporah with Designers, Grace Iwobi, Asake Agoro and Maureen Amooti with the models. 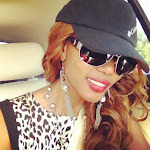 ANNA NJIE- THE FOUNDER OF FASHION4AFRICA UK! Anna herself, She is the Founder for Fashion4Africa designer competition and showcase founder for Face of Fashion4Africa. SPORAH MEETS THE FOUNDER FOR FASHION4AFRICA AND FACE OF FASHION4AFRICA UK! MEETS SAMIRA HASHI - FACE FOR FASHION4AFRICA UK 2010-2011! SAMIRA HASHI WEARIN A DRESS BY MAUREEN AMOOTI FROM UGANDA! 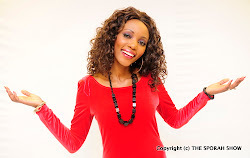 MEETS ASAKE AGORO, THE 1ST RUN FOR FASHION4AFRICA UK 2010-11- A DESIGNER FROM NIGERIA! DESIGNED BY MAUREEN AMOOTI - 2ND RUN FOR FASHION4AFRICA 2010-2011! SPORAH WEARING MAUREEN AMOOTI DRESS! SAMIRA HASHI, FACE OF FASHION4AFRICA AND MAUREEN - A DESIGNER FROM UGANDA! SPORAH AND MAUREEN AMOOTI - A DESIGNER FROM UGANDA! MEETS THE ORGANISER AND THE WINNERS FOR FASHION4AFRICA! MISS SOMALI AND THE WINNER FOR FASHION4AFRICA! Unajitahidi sana dada, hongera na Mungu akuzidishie. Looking good Sporah, u can never go wrong with African prints hun. African Ladies, you all look good. MH! I can see Real Models. Sporah jamani umependeza sana. Bless You. Spora i want that red dress plseeeeeeezzzz. When will this be on Air? Africa have got Talent!! ha ha ha. I love Sporah show. Jamani huyo dada mwenye gauni jeusi ni mrembo sasa. Hii itaruswa lini Star tv? Spora i want to take you to Nigeria there's so much happening there, i wonder who to contact? Nimempenda huyo modo aisee siwezi kupata contact zake? Mbona hujatuwekea facebook name yake? Uko juu Spora, mi nakukubali dada angu. Am a second year student, a young designer from Cameroon, I really want to engage more on these fashion shows but I don't know where to start. Please if you can help me Sporah. Sporah nakukubali dada, uko juu. African has got the X-Factors, ha ha ha! Uko juu sporah, ningependa kujua historia ya maisha yako kiundani. Sporah nakuona hapa Star Tv, Jamani Umeshehena mtoto wa Kichaga.. Bongo lini Sporahhhhhhhhh. Nimeipenda sana show yako dada. Why always Nigerian????? i hope it was a fair competition. 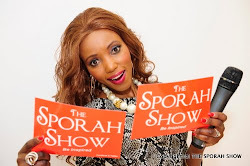 I Like your show Sporah. Beautiful African woman, you look wonderful ladies. The designers are very creative, u look good guys.